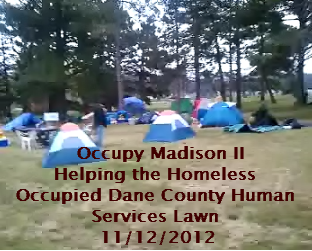 On Friday November 23rd, Esty Dinur focused on the future of Occupy Madison for the first half of the program. 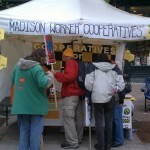 She interviewed Four members of Occupy Madison: Ron, Betty, Dan and Brian who discussed their recent eviction. For the second half of the show, Esty interviewed Jason Louise Huberty & Rebecca Kemble discussing the state of the unconstitutional Capitol crackdown & the Solidarity Sing-Along.